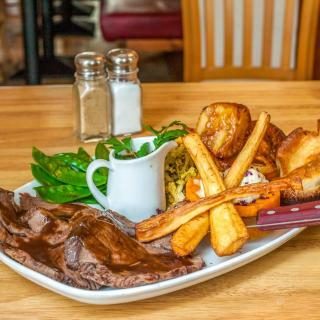 Looking for deals in Brighton & Hove? Set in Brighton & Hove, The Ginger Pig is 1.3 mi from i360 Observation Tower and offers facilities like bar and on-site dining. We stayed at the Ginger Pig after arriving on a flight at Gatwick. It was a quick drive from the airport and the room was so comfortable after a long flight. The bathroom was very big, with a cute cement tile floor and a huge glass enclosed shower. The bed was wonderful after our flight. We could see the sea from the window of our room. Located in Brighton & Hove, within an 8-minute walk of Brighton Pier and 2625 feet of The Royal Pavilion, Red Brighton Blue offers accommodations with a terrace. Extremely well designed rooms and bathrooms with every comfort in mind. Light, airy. I stayed in two different singles and both were perfect for one. Immaculately clean. Lovely comfy beds and duvet and night lights in the bathrooms. Strong Wifi. After one short conversation with Peter I felt we were kindred spirits and had known each other for ever. His tips on where to go enriched my visit to Brighton and he also cooks a great breakfast! Would revisit the town just to stay here again. Located less than a minute's walk from the nearest beach, Blanch House is a Regency-era 3-star townhouse hotel in the heart of Brighton town center. The room I stayed in had beautiful decor along with everything I could need during my stay. The bed was very comfortable and I thoroughly enjoyed the air conditioning in the room that I could control with a remote. Everything was impeccably clean and I would definitely recommend Blanch House! I'd also recommend grabbing a few cocktails at the bar, the ones we had were delicious. 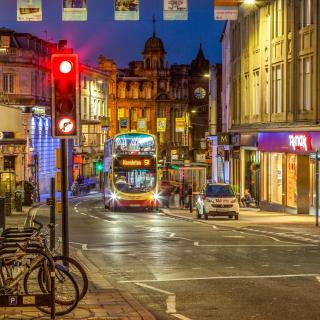 Ideally located in the heart of Brighton, and just off Brighton Rail Station, Hotel Una offers modern and stylish accommodations, a bar, spa rooms and cinema room. Lovely small hotel, nicely designed, perfectly located, tasty breakfast, run by a wonderful team. Drakes is a luxury boutique hotel on Brighton’s seafront, overlooking the Brighton Palace Pier. It offers unique 4-star accommodations, and has a fine-dining restaurant and vibrant cocktail bar. Upgraded us at a great price to a gorgeous attic room which we loved. Staff were so friendly. In the center of Brighton, the Artist Residence Hotel faces the iconic West Pier. This unique property features 25 individually decorated rooms with free WiFi and quirky original artwork. Everything about the place was amazing. The art decor is fab and unique and felt like home. Felt very relaxed. On the seafront in the heart of Brighton's 'Lanes', this friendly hotel is well-located for nightlife, shopping, restaurants and the beach. Location was perfect , room with a sea view is amazing and so worth the money! With its sumptuous Renaissance style, The Grand Brighton has a magnificent location on Brighton’s seafront and is just a 10-minute walk from Brighton Pier. Excellent breakfast. Very good barstaff. In the vibrant North Laine area of Brighton, the sumptuous My Brighton fuzes cutting-edge technology with unique design. The boutique hotel has an authentic Indian restaurant and intimate cocktail... Great value for money. Great location. Rooms were bright and modern. Malmaison Brighton looks out over Brighton Marina to the sea. It has free parking, a bar, a restaurant, modern rooms with monsoon showers and outdoor terraces looking out over the water. I had a quick overnight stay in Brighton and was looking for a dog-friendly hotel. This elegant Victorian hotel overlooks the beach, sea and promenade, and has a brasserie restaurant for guests to enjoy. Location, location, location!!!! It was fantastic!!!! The stylish, gay-friendly Legends Hotel is on Brighton’s seafront, in the heart of Kemptown. It features the Legends Bar & Nightclub and rooms with sea views and free Wi-Fi throughout. The place was so clean and friendly. The shower although small was the best I’ve had in a long time. This striking Georgian property is on the seafront, overlooking Brighton beach. The property is just a 5-minute walk from Brighton Pier, shops, lively bars and popular restaurants. Clean..friendly and helpful staff.. Opposite a iconic beach, Brighton Harbor Hotel & Spa is set on the lively seafront, about 2 minutes' walk from The Brighton Center and offers free WiFi. Loved everything about this hotel. It’s modern, classy and super clean. Located 984 feet from The Royal Pavilion and a 5-minute walk from Brighton Pier, One Broad Street offers accommodations in Brighton & Hove. Free WiFi is available throughout the property. 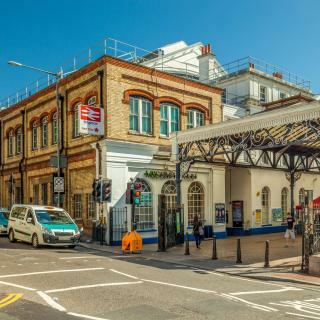 The Brunswick Square Hotel offers a superb base in the most elegant Grade I listed square in Brighton and Hove, moments from the beach and close to all that Brighton and Hove have to offer. This lovely hotel near the sea front is just lovely !! Featuring free WiFi, Bond Hotel offers accommodations in Brighton & Hove, 328 feet from Brighton Dome. A flat-screen TV with cable channels, as well as a computer are provided. My friends and I visited this hotel and the staff upgrade our room to family rooms. Overlooking the seafront, Jurys Inn Brighton Waterfront benefits from its own entrance at the front of the hotel in the right corner and is just 1312 feet from the Brighton Pier and the Royal... This is really great value for money. The beds and duvets are so so comfy! Next to Brighton Railway Station, in the city center, the Jurys Inn Brighton is a 15-minute walk from the beach. It features a 24-hour reception, bar and restaurant. The location, the friendly staff, the comfortable bed. On the seafront in central Brighton, the Pelirocco is a townhouse hotel featuring boutique-style themed rooms with free Wi-Fi. The Playstation Bar serves a varied cocktail list. The rooms were amazing, and the breakfast fantastic - especially the cinnamon toast! On the Brighton seafront, in the heart of vibrant Kemptown, opposite Brighton’s famous Palace Pier, the Amsterdam Hotel offers award-winning accommodations and free Wi-Fi. Staff always friendly and helpful- served me a meal after time. Which hotels in Brighton & Hove are good for families? Many families visiting Brighton & Hove loved staying at Red Brighton Blue, The Square Hotel Brighton, and The Ginger Pig. How much is a hotel in Brighton & Hove for this weekend? The average price per night for a 3-star hotel in Brighton & Hove this weekend is $419 or, for a 4-star hotel, $501. Looking for something even fancier? 5-star hotels in Brighton & Hove for this weekend cost around $987 per night, on average (based on Booking.com prices). Which hotels are the best ones to stay at in Brighton & Hove? Red Brighton Blue, The Square Hotel Brighton, and The Ginger Pig are some of the popular hotels in Brighton & Hove. What are the best hotels in Brighton & Hove near Brighton Pier? Some of the best hotels in Brighton & Hove near Brighton Pier include Guest And The City, The Square Hotel Brighton and Griffin Guest House. How much does it cost to stay in a hotel in Brighton & Hove? On average, 3-star hotels in Brighton & Hove cost $100 per night, and 4-star hotels in Brighton & Hove are $147 per night. If you're looking for something really special, a 5-star hotel in Brighton & Hove can be found for $195 per night, on average (based on Booking.com prices). How much is a hotel in Brighton & Hove for tonight? On average, it costs $81 per night to book a 3-star hotel in Brighton & Hove for tonight. You'll pay around $106 if you choose to stay in a 4-star hotel tonight, while a 5-star hotel in Brighton & Hove will cost around $231, on average (based on Booking.com prices). Which hotels in Brighton & Hove are good for couples? These hotels in Brighton & Hove are highly rated by couples: Red Brighton Blue, The Square Hotel Brighton, and Hotel Una. 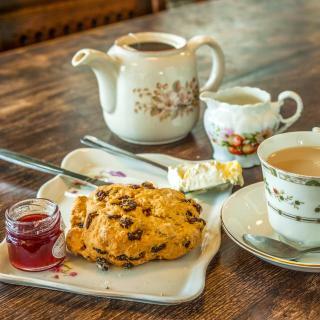 Which hotels in Brighton & Hove offer an especially good breakfast? For hotels in Brighton & Hove that serve highly-rated breakfasts, try Red Brighton Blue, The Square Hotel Brighton, and Blanch House. 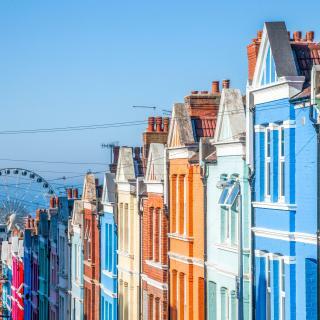 Which neighborhood is the best one to stay at in Brighton & Hove? Kemptown, Seafront, and Hove are popular with other travelers visiting Brighton & Hove. Which hotels in Brighton & Hove have nice views? Granville Hotel, Red Brighton Blue, and Legends Hotel got great room view-related reviews from travelers in Brighton & Hove. 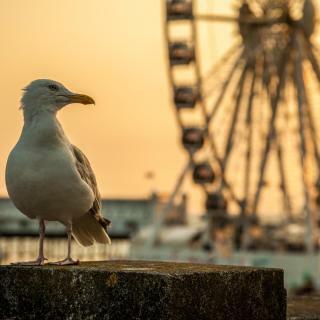 Known for colorful nightlife and traditional English seaside pursuits, Brighton and nearby Hove are the closest beach resorts to London, making them popular end points for classic car runs from the capital. Many end at the racetrack, a few streets from Brighton Marina, Europe’s largest, housing several shops and eateries. Many Brighton guesthouses on Booking.com are also nearby. Running along the beachfront is the world’s oldest operating electric train, ending by Brighton Pier. 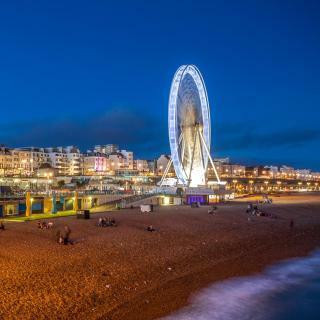 Lit up at night and also known as Palace Pier, this city icon houses amusements and rides, and is one place to pick up some famous Brighton Rock, the confectionery sharing its name with an edgy Graham Greene novel set here. A new addition, the Brighton Wheel is right by the pier, while one of its most famous attractions is the Royal Pavilion, a former royal retreat built in Indian style. 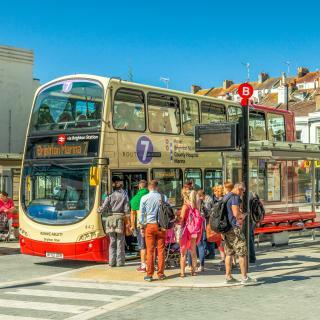 Just west are 2 of the most popular Brighton shopping spots – Churchill Square shopping center and The Lanes with its narrow streets and unusual shops. This area also has several Brighton hotels with parking, and the Artists Quarter, a series of ex-fishing huts that are now galleries. Arts + culture are big in Brighton, and Brighton Festival is the UK’s 2nd largest arts festival, while Brighton Pride is also a big event on the annual calendar. Unless you are looking to party (or staying up late), avoid the Smart Brighton Beach Hotel. The hotel was actually fine. It was right at the water, straight down West Street from the station. Basic but fine. ... but the Outback Steakhouse, a trashy Aussie themed, American 'Sports Bar' directly below the private rooms, is absolutely gawd awful; loud until 2 am with drunken karaoke, garbage beers, and they took over 30 minutes to serve a literal can of over-priced nachos, with 25% mac+cheese(?!) in it. OMG. Worst ever. The rest of the trip was amazing. Great Vegan Hot-Dog joint with great beers. Stellar small plate Venetian restaurant. I could spend a week in just the blocks between East and West Streets, south of the station. I would definitely go again. Thanks Brighton for an amazing trip. We found the hotel was very central to all we wanted to see i.e. The Laines, The Pavilion, the i360, the Bandstand, the Pier and brilliant for local food. We ate at the Regency and the Chinese Restaurant around the corner - excellent. We parked the car in Regency Square Car Park and then walked everywhere. Really enjoyed all we did and our rooms were good with balcony views. We reached Brighton by train and took a taxi to Kempfield House. It was a perfect place to stay as this tiny hotel is located right near the beach, on a bus line, and within a 5 minute walk to the heart of Brighton. We enjoyed a night at the Theatre Royal, a tour of the Royal Pavilion, and a day at the art museum. Brighton is a city where one can roam the streets day or night. Visited The Brighton Centre to watch Joules Holland, the centre itself hasn't aged well but has everything you'd expect and they run a well organised event. The Robin Hood pub on the edge of Brighton was just perfect for after, a lovely atmosphere and a mean bloody mary. The Metropole Hotel is a great place to stay for this type of event as it's a stone's throw from the centre. I wouldn't bother getting a 'luxury' room though as it's over priced and doesn't live up to my fairly modest expectations, like having decent water pressure, but you can't beat the location for convenience. Very well situated near the seafront and a very nicely done out hotel- modern and stylish but cosy. We were upgraded to a superior room which was huge with plenty of wardrobe space and a massive bed. The bathroom was lovely with a big bath and power shower. The staff treated us really well, there was a nice bar and little extras in the rooms. It felt like a treat being there and we would definitely recommend staying. Location, location, location. Pier 3 minute walk away. Streets to the right of the hotel have bars, cafes and restaurants, so no need to go into town if you need a quick bite. Beds were comfy, rooms were warm. Breakfast was a good fry up. A very tranquil hotel for Brighton. Just far enough along the promenade to be away from mass of tourists but still an easy walk into the centre. Really loved my loft room and being right on the seafront. Would definitely stay again. I found Legends Hotel to be very comfortable, well planned out and my room had lovely Beach view! Bathroom was the cleanest I have ever come across, room compact , with great amenities, essentials within easy reach! Excellent little room with everything you might need. Lovely sheets and fluffy towels. Very comfortable and chic and great value in Brighton which can be super expensive for hotels. Excellent location, clean and neat rooms, staff was really helpful and the bar downstairs had wide selection of food and drink, super nice and rather cheap for a hotel. Location and facilities. It’s not a bespoke hotel but it’s efficient and so well located. And quiet. Good breakfast for the price too. Great location...just walk across the street to the beach! So many seafood restaurants to try. Also the hotel's spa was wonderful! This is a lovely hotel and the owners are so accommodating. The breakfast is fabulous as everything is homemade and fresh. Charming hotel, within minutes from the beach. Nearby Church Rd has buses to Brighton center. The hotel is on the beach front. Excellent breakfast. Very good barstaff.